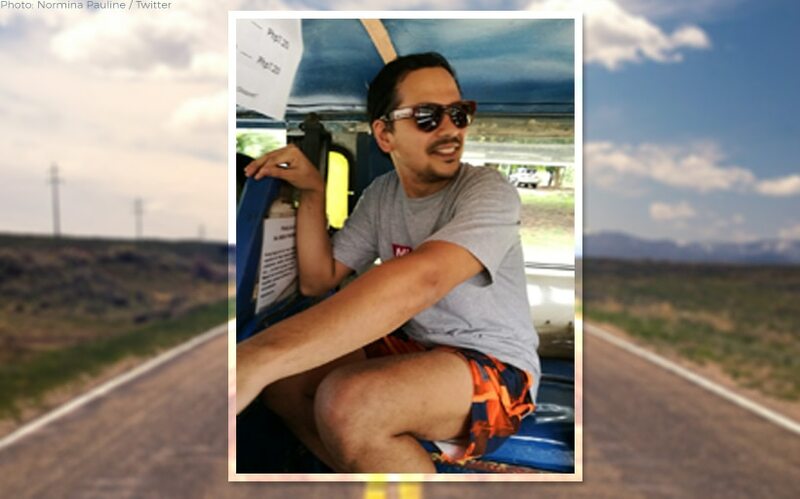 John Lloyd Cruz, nag-jeep sa UP! John Lloyd's Dad beard is giving us so much life. Kung nakasabay mo sa jeep si John Lloyd Cruz, ano kayang gagawin mo? This question was answered by Twitter user @norminapauline who got the chance (no, the privilege) of being in the same Ikot ride with the legendary actor at the University of the Philippines. She took a photo, of course, and remarked in a tweet posted last October 8, "Huhu ang pogi pa rin." The John Lloyd captured in the photo is happy, bearded, and wearing board shorts. Safe to say, being a Dad suits him! Before taking an indefinite showbiz hiatus, John Lloyd starred in the hit romantic comedy "Finally Found Someone" alongside Sarah Geronimo. He welcomed his first son Elias Modesto with girlfriend Ellen Adarna last June 27. Try not to smile with these antics from Aga, Bea, Kathryn, Maymay, +more! Miggy Montenegro (John Lloyd) vs Lee Young Joon (Park Seo Joon): Who’s your fave boss? Lorna, gusto ng reunion movie with Bea and John Lloyd!